There are so many risk factors related to Lung cancer which increases the risk of lung cancer and later on becomes the cause of lung cancer and these are discussed below. 1. Smoking :- Smoking is the main risk factor and cause of the lung cancer. 9 out of 10 persons who are having lung cancer is due to cigarette smoking and this percentage counts to be nearly 85% and nearly 3% are affected by secondary smoke. Smoking cigarette has about 60 carcinogens. Smoking increases the risk factor to a large amount and it is also related with the time period from which a person is smoking. People who started smoking at earlier age has more risk of having lung cancer. Cigarettes with filters reduces the risk of cancer. Smoking also causes other lung disorders. 2. Passive or second hand smoke :- The persons who are not smokers but take passive smoke or second hand smoke are also on a risk of lung cancer but not as much as the active smokers but risk is there. 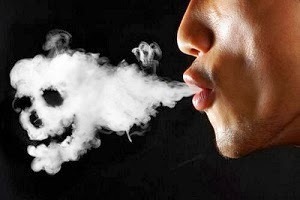 Passive smoke has about 50 carcinogen which can increase the risk of cancer. 3. Asbestos and silica :- Asbestos is a natural substance which is used in construction works and ship building. It has been studied that the exposure to asbestos increases the risk of lung cancer. Exposure to silica which is used to make glass can also increase the risk of lung cancer. 4. Radon gas :- Radon gas is naturally occurring gas which is radioactive in nature and it can increase the risk of lung cancer to those people who tend to live more in indoor. It is formed from soil and rocks which contains small amount of uranium. Smokers who tend to smoke indoors are at the highest risk of lung cancer. 5. 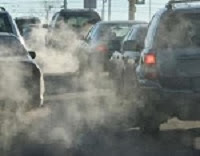 Environmental pollution :- It has been studied that lung cancer in non smokers is generally caused due to the pollution of environment. The people whose working conditions lie to polluted area are at high risk of lung cancer. It has been studied that in developing countries like India and China where coal is used as fuel in houses are at high risk of lung cancer as smoke of coal persists in their homes. 6. Immunity factors :- Drugs that we use for treatment of other diseases lower the immunity of body and the persons who have some other disorder and is taking drugs to cure it are at high risk of lung cancer. 7. Other lung disease :- The persons who are suffering from chronic lung diseases are at high risk of lung cancer. These diseases such as tuberculosis lowers the body immunity and weakens you from inside as well as outside and thus person is at high risk of lung cancer.